Beware of Prize Patrol Facebook Imitators! Indeed, some other scammers use social media like Facebook to snare victims into their unlawful schemes. Even though each member of a social network refers the other as a friend, it may not be so in reality and con men and women and fraudsters may find their way in to these sites. Companies marketing themselves over these social networking sites like Publishers Clearing House should keep some of their information like account details and personal information of its employees, managers, suppliers or any other stake holder confidential. And Remember thta PCH Winners Are Never Contacted Through Facebook! Sweepstakes and contests are more and more visible into this social network marketing because of the impact and popularity of social media on Internet. By using social media to promote their sponsored sweepstakes then can reach more people. 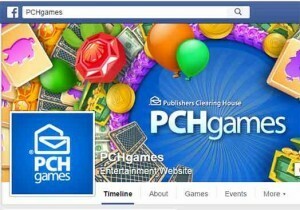 PCH Engage With PCH Fan Pages On Facebook In A Fun & Safe Way! PCH Fan Page Facebook community has become biiger over the years. For Publishers Clearing House this represent a place where fans can share their stories, support each other, and tals about what they love! In order to keep their Fan Page on Facebook a safe place where fans can enjoy visiting every day and interacting with one another, they laid out some ground rules for everyone to follow. – Any personal information including email addresses, phone numbers, addresses, social security numbers, credit card numbers, etc. What God has for me, it is for me! Thank you Lord! Yes I except pch #11000 on 10/26/2018. Pch. 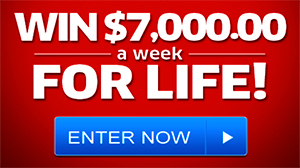 I NEED TO WIN THIS $2,500.00 A WEEK FOREVER, SO AT THIS AGE OF 62. I CAN WIN MY FAMILY BACK AND HAVE A HOME TOGETHER TO RETIRE IN. AND TRANSPORTATION, AND FINANCES IN THE BANK, PLEASE MAKE MY DREAMS COME TRUE? ROY APPEL TO WIN $2,500.00 A WEEK “FOREVER” PLUS $130,000.00 CASH PAYOUT IMMEDIATELY ROY APPEL IN COMPLIANCE TO WIN….. ROY APPEL YOUR WINNER! Roy, Winner Selection for Our 1O/26 “Forever” Prize is Imminent! AN ACCELERATED PAYOUT HAS BEEN APPROVED! Roy, a final determination has been reached, and we think you’re going to like it! You see, with a favorable decision reached for an Accelerated Payout on 1O/26, a winner from this notice would be entitled to the first year of daily payments all at once – $13O,OOO.OO – so there would be plenty of money on hand to spend. Then, after that, a winner would go on to receive weekly payments of $2,5OO.OO for life. What’s more, the winner of the “Forever” Prize – guaranteed for award on October 26th – would also choose a designated beneficiary who would continue to receive lifetime payouts of $2,5OO.OO A Week as if they were the original winner! But it’s all up to you… don’t risk missing out on such an incredible amount of money with an ACCELERATED CASH PAYOUT, Roy! Respond before it’s too late! ROY APPEL IN COMPLIANCE TO WIN …Roy, it’s not every day you can claim SIX SHOTS to win $2,5OO.OO A Week “Forever” at PCHFrontpage…but today’s not every day. And all you have to do to complete your claim is search from all six buttons before tonight’s 11:59 PM, ET deadline! Fail to do so and any unclaimed entries will be forever lost! It won’t be long till the Prize Patrol makes their way to deliver the $2,5OO.OO A Week “Forever” prize, GUARANTEED for award on October 26th! Win the “Forever” prize, Roy, and not only would you receive $2,5OO.OO a week for life, but after that, someone of your choosing would continue to receive a lifetime of weekly cash in the same amount! With the stakes so high, don’t miss out on ANY shot at winning and claim ALL SIX entries — SEARCH NOW! from PCH Giveaway No. 11OOO…..
50 winners will be confirmed from w712 notice. www pch com/actnow. activation code:PC378. CONLAINT; couldnt log in or on form to fillin so i coouldnt register, i tried every link for two days? I’M WILLING TO WIN ANY DAY IF NOT ON OCTOBER 21, 2016. PCH PRIZE PATROL, I WANT TO WIN OCTOBER 21, 2016. HAVE A BEAUTIFUL DAY TODAY AND EVERYDAY!!! PCH I am looking for that Gold Seal for GWY no 6900. Hoping to find that certified letter.. I Want To Win. Hi pch staff. Truthfully I am hungry!. I would like to eat some beef. I get sixteen dollars of food stamps. This is not enough to buy some beef steak or pork chops. And with the cash I have over, I buy the essential stuff. I know that’s not your problem, so all I can do is play as many game’s and ask the Light to hook me up with a weekly amount of money. I need clothing. My disability does not allow me to walk very far , but when I get home my left leg is serious pain. I still plan to pay back Haven for Hope for helping me when I was homeless. I ask the Light to shine on everyone that they may win. My time will come. Thank you for blessing me with PCH sweepstakes games to keep me busy. Love,Peace and Joy to all. Lost everything in a house fire and pets 2 years ago. Would like to buy a house and replace what was lost. If I won that would be awesome and a dream come true. I’ve got my fingers crossed and saying lots of prayers. Love the games and the challenges. I like to play the difference games, I don’t if I would win.but there some peoples do win.